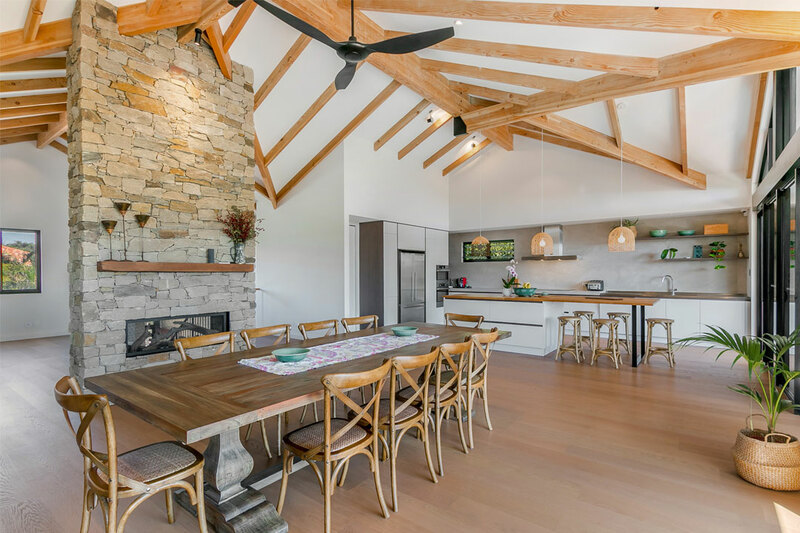 Designed by Susanne Lindstrom-Wilson and built by Troy Leaman Building, this beautifully renovated home features exposed oregon-timber glulam beams and rafters, a stunning large balcony and a stylish stone-clad fireplace. 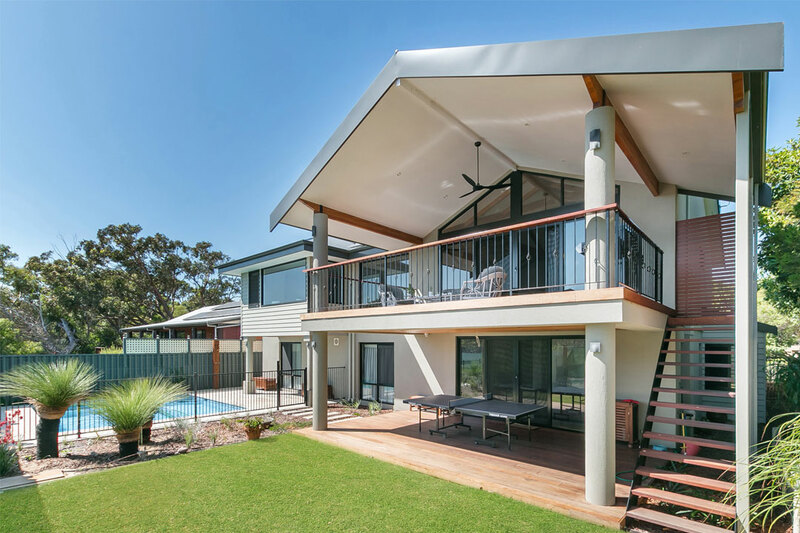 The clients wanted to transform their existing 90s Mediterranean-style double-storey property into a modern, open-plan home that would accommodate the needs of their growing family. 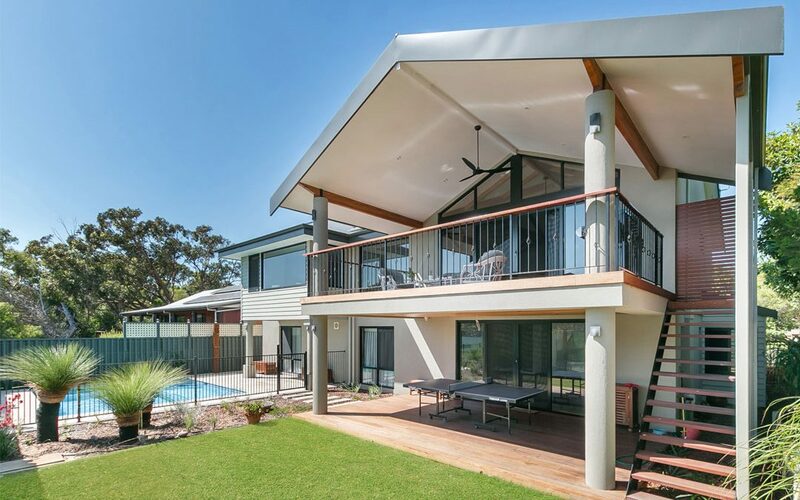 It was also important the property highlight the breathtaking bushland views. 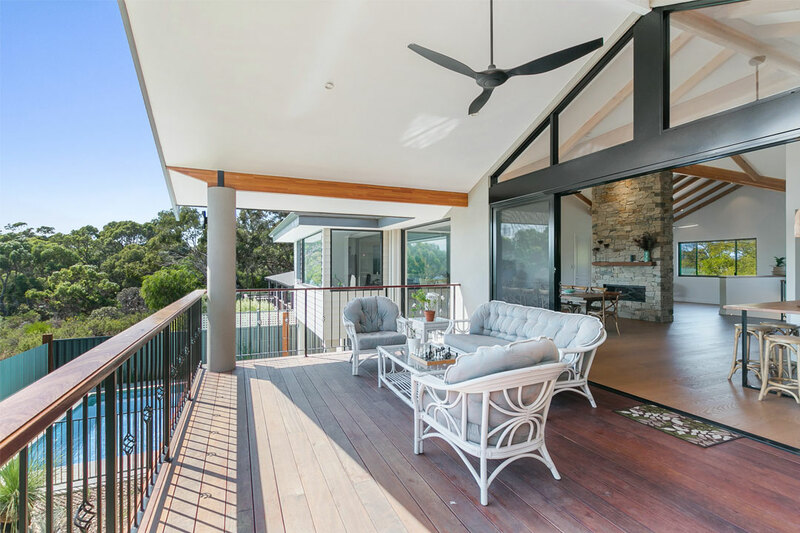 To achieve the clients’ requirements, the designer and builder worked in close collaboration to renovate the entire first floor and incorporate a new balcony. All of the wet areas were updated, while the ground-floor slab was extended to provide the kids with a spacious games room. 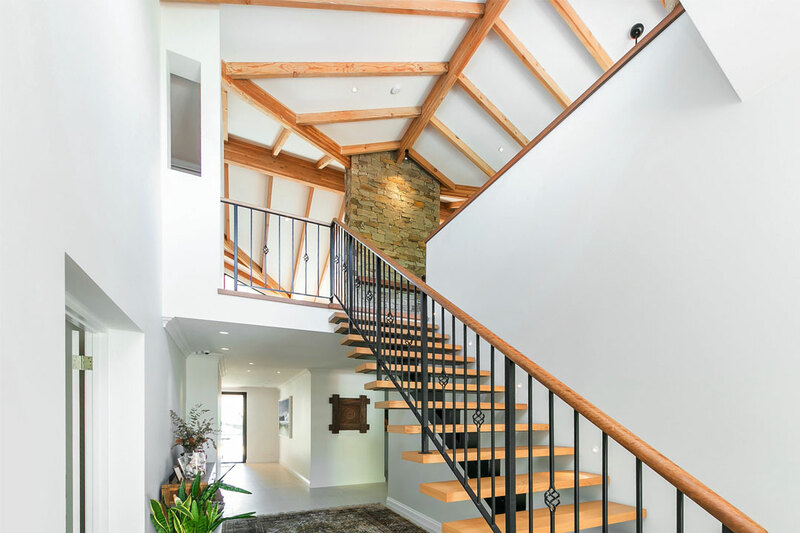 The ground-floor walls and staircase were repositioned in order to give the home an inviting and open feel. Renovations to the main bathroom, en suite, laundry, and kitchen were also completed to enhance the home’s contemporary style. Solar roof panels and BuilditEco foam cladding were installed to improve energy efficiency and reduce utility costs. New BAL (Bushfire Attack Level) ratings were introduced a month prior to construction of the project commenced. Thorough research was completed to ensure the home complied with the local council’s updated requirements. Company director Troy Leaman always says “Nothing is a problem – we only have solutions.” Lindstrom-Wilson provided excellent advice and devised appropriate solutions to achieve a great result. 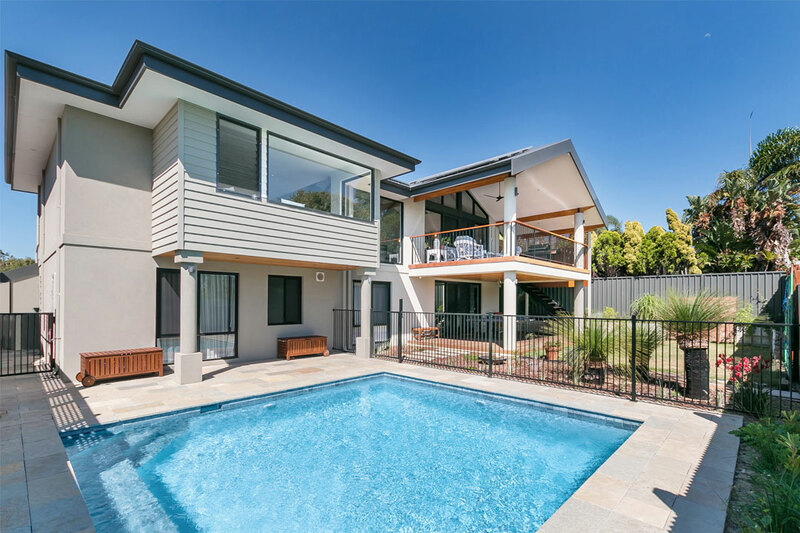 Offering a wide range of construction services, Troy Leaman Building is a family-owned business that’s been handed down from father to son. The company specialises in new builds, renovations, kitchens and bathrooms, as well as alfresco dining areas and outdoor kitchens, and specialised carpentry work. Leaman is a hands-on builder with more than 20 years of experience in the construction industry. He prides himself on his excellent client-liaison skills, ability to tackle difficult and challenging renovations, and reputation for making dream homes a reality. 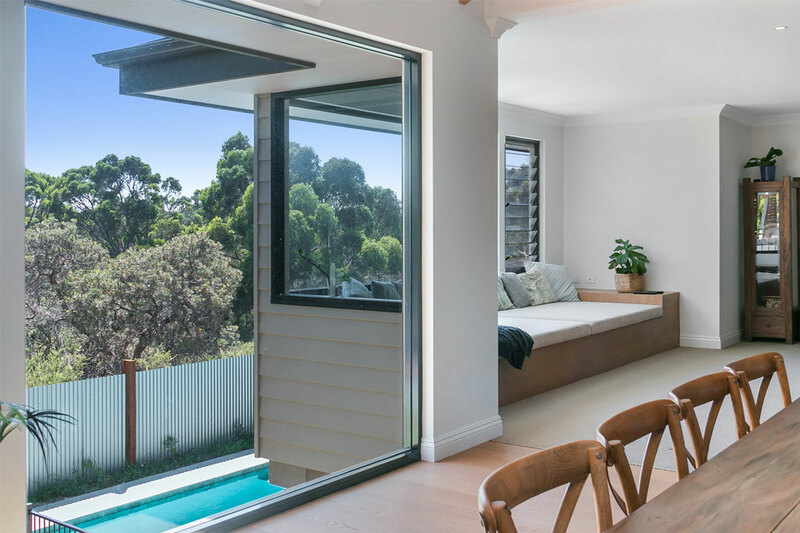 The art of completing an outstanding renovation lies in creating a seamless transition between the existing structure and the new addition, and this is a skill that Leaman and his expert team have perfected! 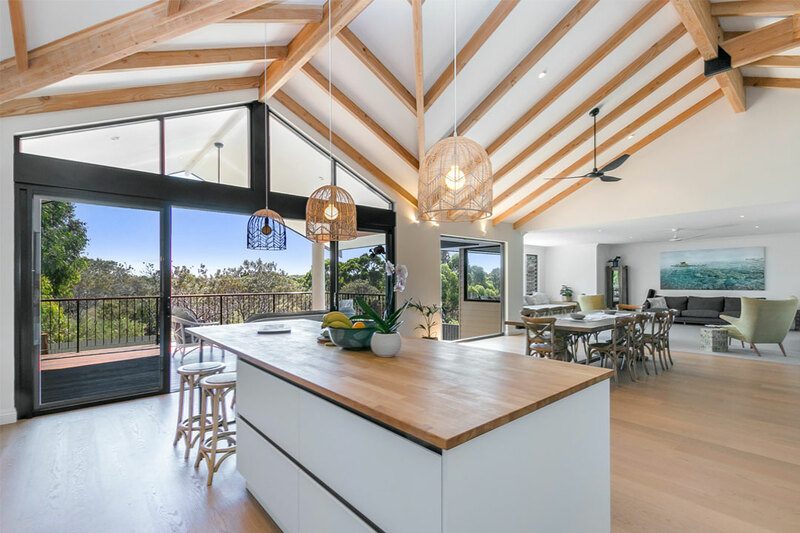 Delivering exceptional customer service and high-quality workmanship, Leaman leads an experienced in-house team who are familiar with many different areas of carpentry and joinery, such as roofing, internal fixing, and decking, as well as timber lining. Leaman’s expertise will make you feel comfortable and confident that your project will be completed to the highest standard. With its specialised team of certifiers and consultants, as well as an experienced contract administrator, Troy Leaman Building can also facilitate council submissions for building permits, which ensures you’ll have an enjoyable and stress-free experience.